I started a thread about this project earlier, but it seemed to have been deleted by a moderator. Anyway this new thread will do the purpose. The Lion-class battleships were a class of six fast battleships designed for the Royal Navy in the late 1930s. They were a larger, improved version of the King George Vclass with 16-inch (406 mm) guns. Only two ships were laid down before World War II began in September 1939 and a third was ordered during the war, but their construction was suspended shortly afterwards. Their design changed several times in response to the removal of treaty restrictions on size and in light of war experience. None of the other ships planned were laid down, although there was a proposal to modify one of the suspended ships into a hybrid battleship/aircraft carrier with two 16-inchgun turrets and a flight deck. The two ships already begun were scrapped after the end of the war. 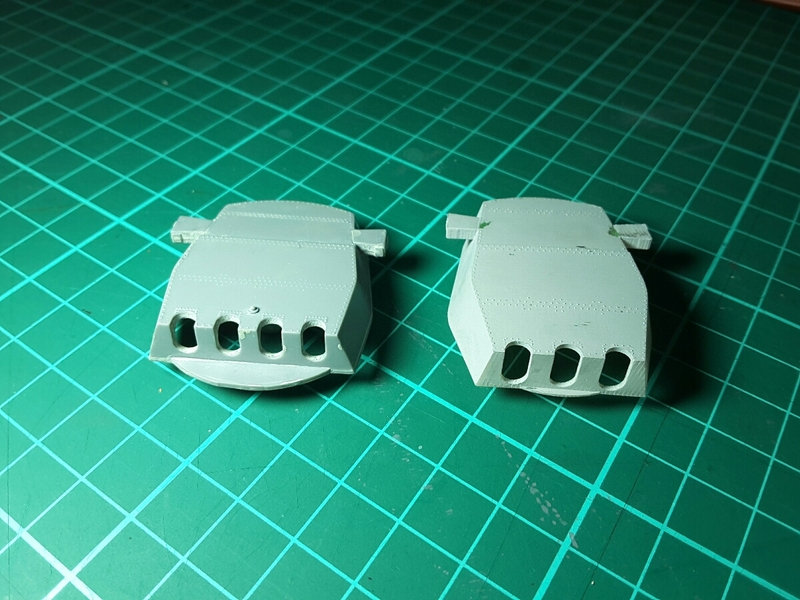 I am going to use a few parts from my Tamiya Prince of Wales kit for this project, e.g. 45' fast motor picket boats, 45' motor launch, 25' fast motor boat, 16' motor dinghy, 14' sailing dinghies, rangefinders*, gun directors*, and 5.25 inch secondary guns, plus some usable Pontos set parts. 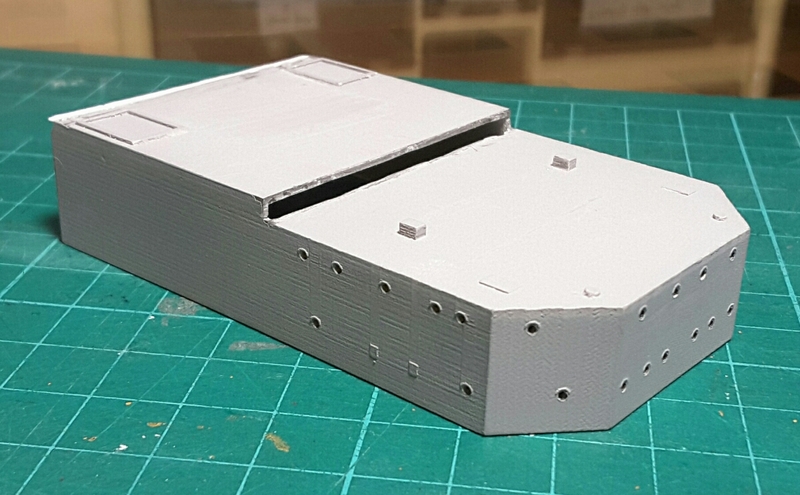 Must say I shouldn't have ordered the superstructure, as it can be scratch-build considerably easy (at least comparing to other parts like turrets/funnels), but anyway here it is! Plus, I've mistakenly ordered it twice, so another useless set in the cupboard! Thanks for looking in and hope all of you will enjoy my build! It is going to be quite a long, probably slow one, though! I have to study a lot, so there may not be much time for modelling. I am brand-new to scratch-building, and the quality shows! Experience will help me getting better at it. Last edited by Aop Aur on Mon Aug 01, 2016 5:22 am, edited 2 times in total. Lion Turrets same as Nelson/Rodney? 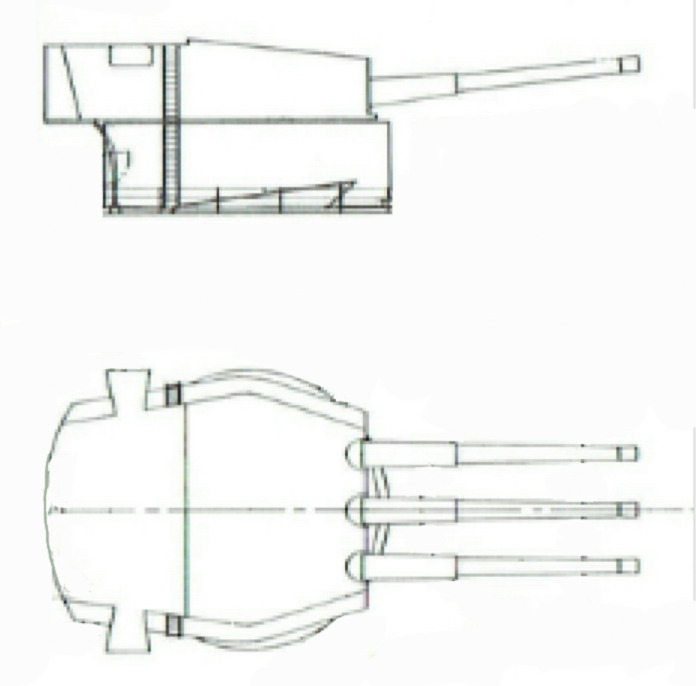 kinda strange they would design turret 1(A) to be longer behind the range finders then turrets 2(B) & 3(Y)? 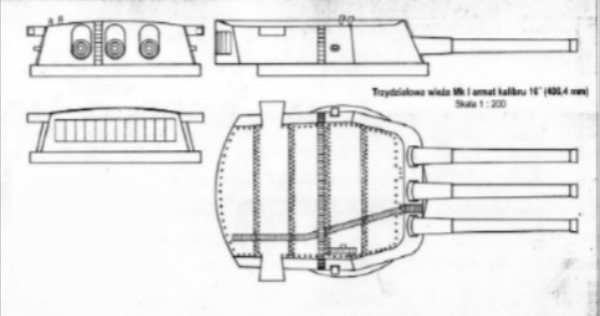 So I would say the Lion turrets look more like a triple version of the KGV 14-inch gun turrets, as per the images above. You can see the sloping forward section of the roof; Lion and KGV have this feature, while Nelson is completely leveled. Also, the Lion and KGV have flat roof (no curves or v shape.) Also because the Lion and KGV were designed in virtually the same period (in the late 1930s,) while the Nelsons were in 1920s. I cannot suggest why the A turret has that kind of extension. A coffee room! Nah, maybe a space for some equipments or systems? We don't need to find out, as no-one on the planet will be able to tell, except maybe Mr. Alan Raven or Garzke and Dulin? The designers must be dead many decades ago. Or if they aren't, they must be 3 years old when they made those drawings! 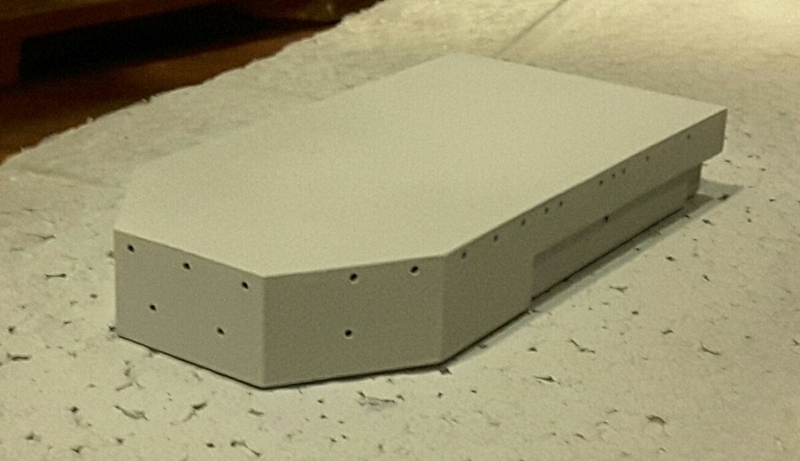 Here's a shot of primered piece. Sorry for the bad lighting, but I took it in a room under my small dome on the 4th floor of my house and there's just ceiling lights. This is where smelly things stay overnight for their paints to dry. Ship parts hotel! Thanks for the explanation on the turrets. I own the "book" but it's not here at "Summer Camp" so no references. I wonder if the extension on the aft of turret one has to do with ventilation, the Iowa's have modified turret ones to ameliorate turret ventilation wetness in a seaway. The Lion's also look to be wet forward in the POW manner with the low freeboard forward. That could be possible. 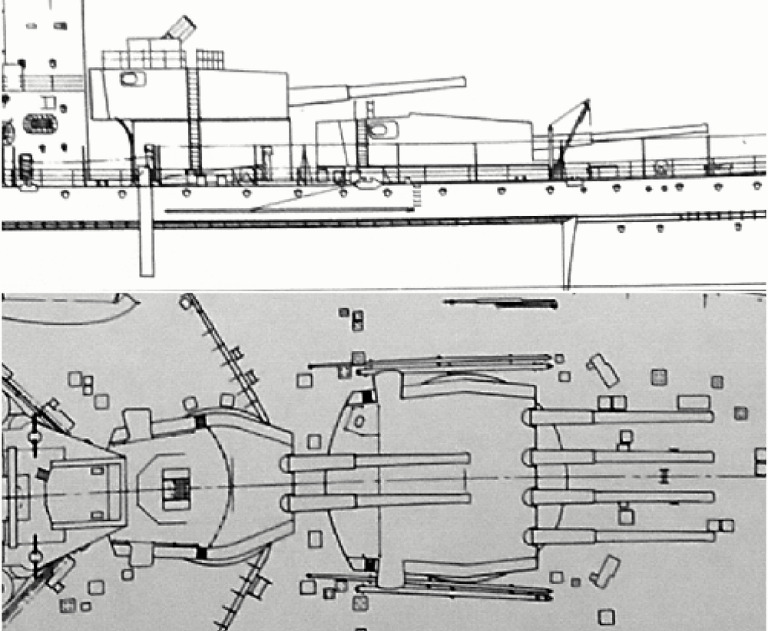 In 1938 design, Lion had low freeboard which allowed the forward turrets to fire 0° directly forward, but that would have caused the same issue the KGVs experienced in rough seas - heavy spray over the bow. This was corrected in the 1942 design and the ship's freeboard was designed higher with a flare bow (I don't know as to what extent, but shouldn't be as much as the Vanguard.) But since I don't know where to find the 1942 plans, I will have to use the 1938... Though the 1942 would have been even more beautiful! Also a bit longer with greater draught. Btw, I really like your 1:192 Alaska! Your scratch-building skill is WAY above me I can't see with naked eyes! Presumably, they would have launched with the same changes they made to the KGVs, ie removal of aircraft equipment, relocation of boats, and extensive AA additions. The designs would probably have called for multiple quad Bofors, but they wouldn't have been able to get hold of many of those so they would have mostly been a combination of more 8-barrelled pom-poms and dual and single oerlikons. 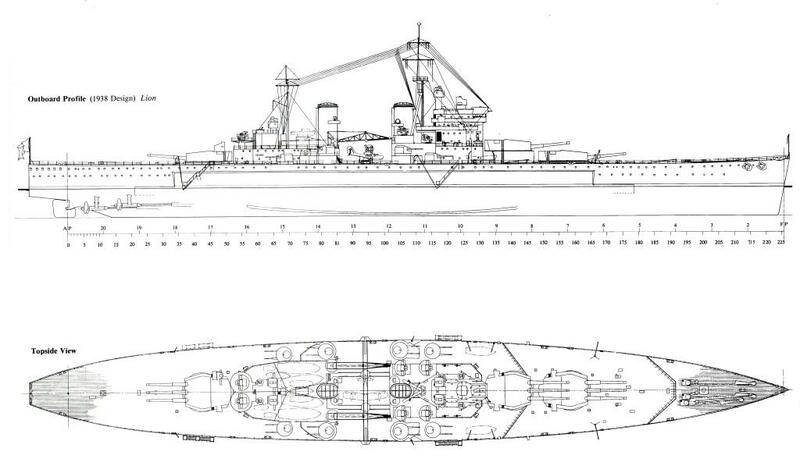 Interesting hull design with the Vanguard like transom stern, not used on any other Battleships? Alaska did have a transom like stern, following US cruiser practice. I guess the Iowa's had enough hull length for a 35 knot wave making resistance. Building Lion (Lioness?) 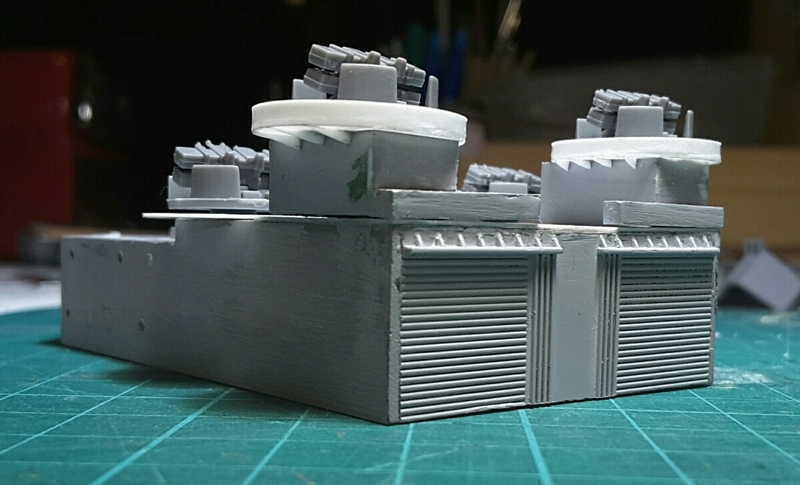 to the earlier plans makes for a cleaner and less cluttered model! I know exactly that this class would have underwent modifications like KGVs did, but there are reasons that would be better for me to go with the original design. First of all, I would have to rely on nothing but guessing where the AA guns would go, and the boats will have to be rearranged on the catapult deck by me, which can turn out to be stupid. The bofors from NorthStar model, Flyhawk, and Veteran models are extremely nice and crisp, but still quite expensive. 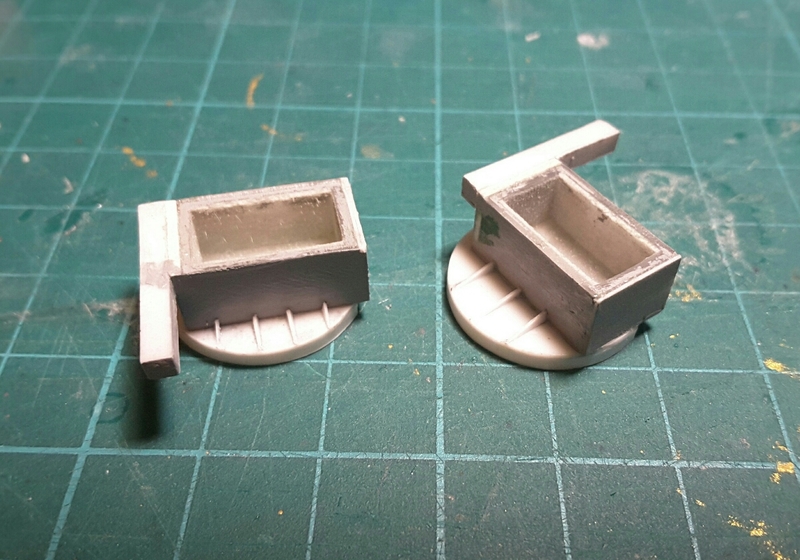 While there are very cheap ones like Ship vessel detail update set that is only some $7, these are to be avoided if you are planning on superdetailing your model. As said before, bow will have to be modified to match 1942 design. The Flyhawk set of 8 barrelled pom poms is not a cheap one as well. There are nine 8 barrelled and one 4 barrelled pom poms in 1942 comfig. But I'll get to that later. Even after the time I have figured out how to design PE! 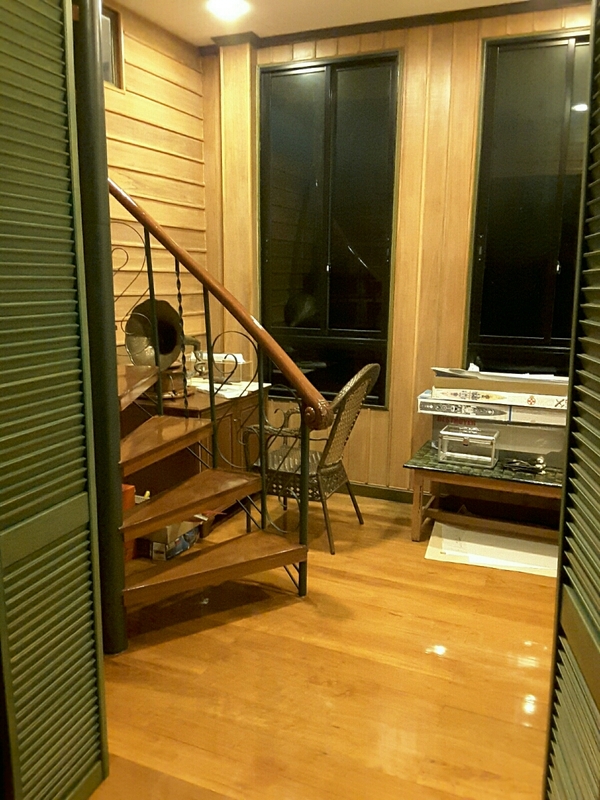 The railing spacings are quite wide, so generic railings wouldn't fit. And if it does fit, I don't want to use it! Frosted detail plastic, or maybe every material used in 3D printing are hell, if you ever want to modify it extensively. It breaks like glass so I was feared losing this superstructure I raised with blood. Now the hangar doors, I would doubt if this part was ever drawn on the NMM plans. 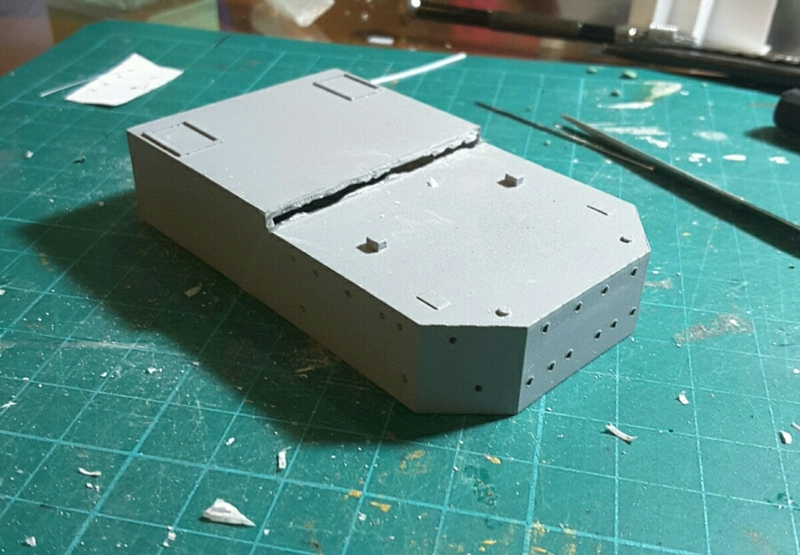 So, I thought I would go with fitting in the unused hangar piece from my damaged PoW kit into my superstructure. Again, cutting is needed, and it was no easy job. 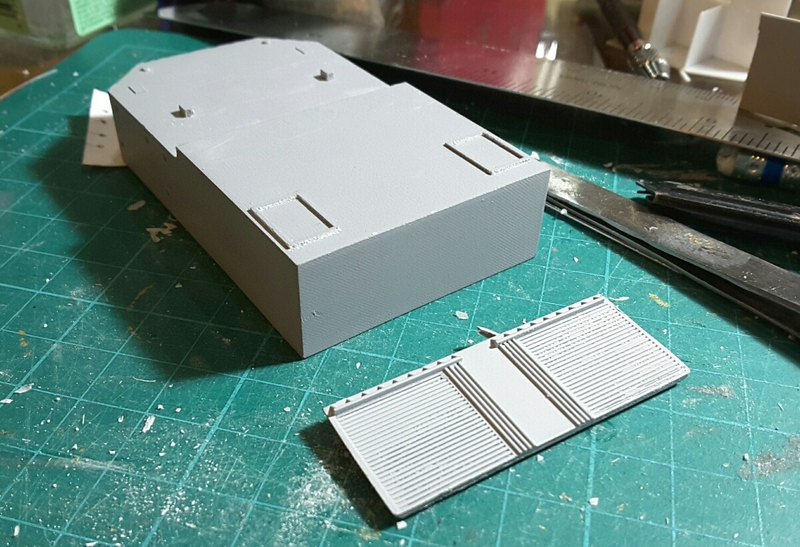 The KGV's hangar is also taller, according to plans, so I had to trim out the edges by several millimeters. Some refinements are needed to be done on the cracks. Print lines are still visible. Have yet to sand them down. Some more shots of what I have done over the week. Actually it didn't take me long to build these, but I have to do many 3D designs alongside. 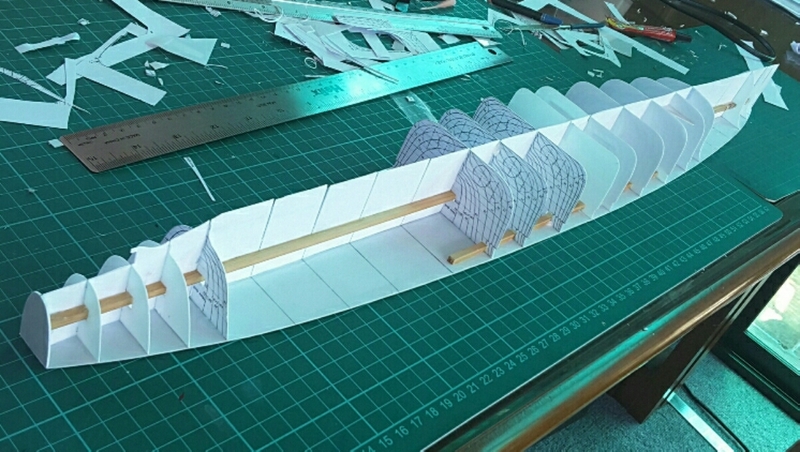 Here is a pic of the 3D superstructure I took awhile ago. 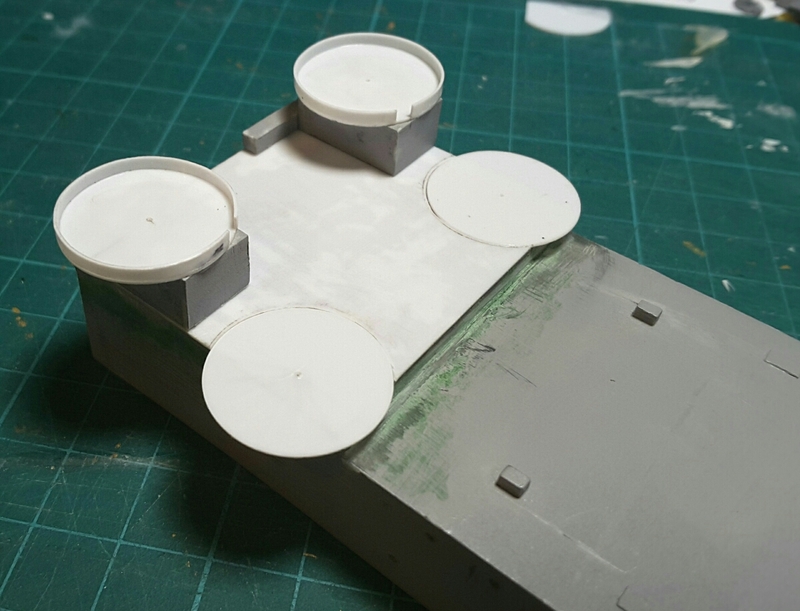 No modifications made except a coat of primer. 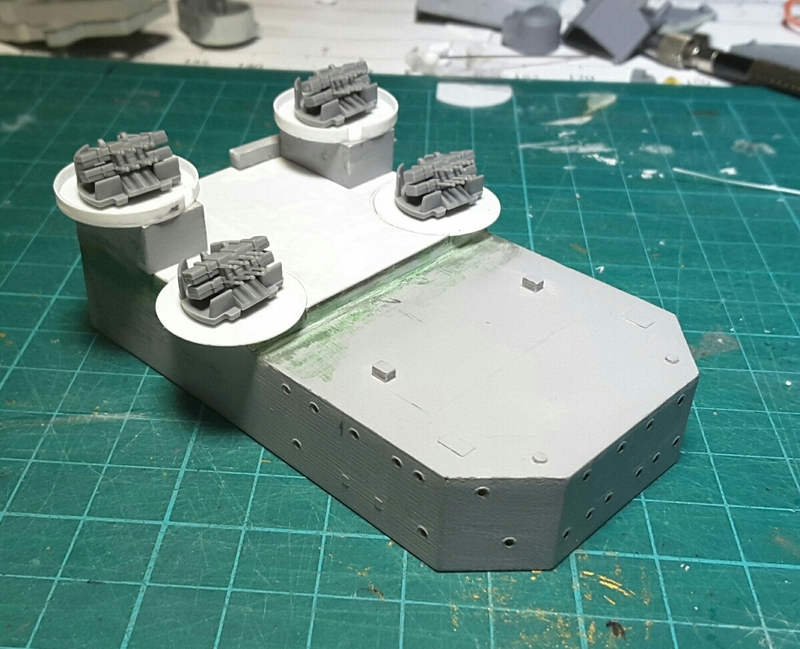 You can see the two pom poms platform bases on the hangar roof; they somehow printed out really badly. 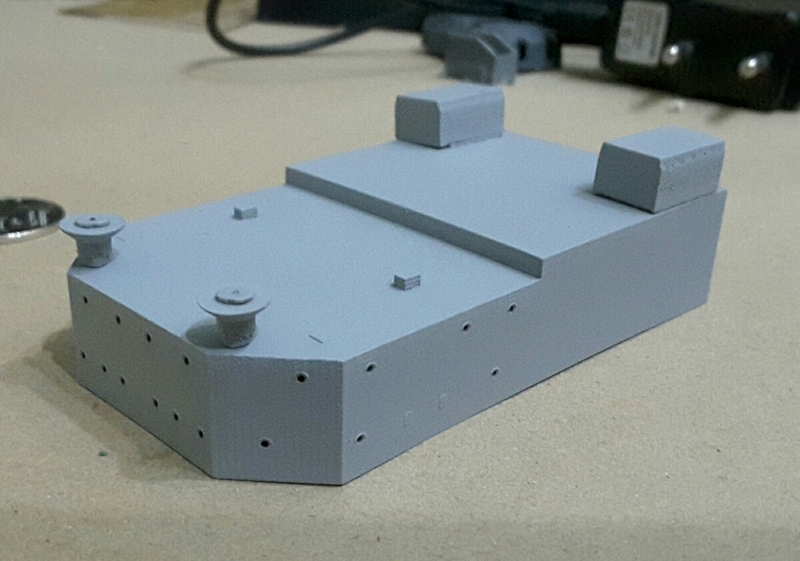 They supposed to be completely square, but the issue might have been caused by the printing orientation, and also that I should have put them on the hangar roof to be printed all in 1 piece. 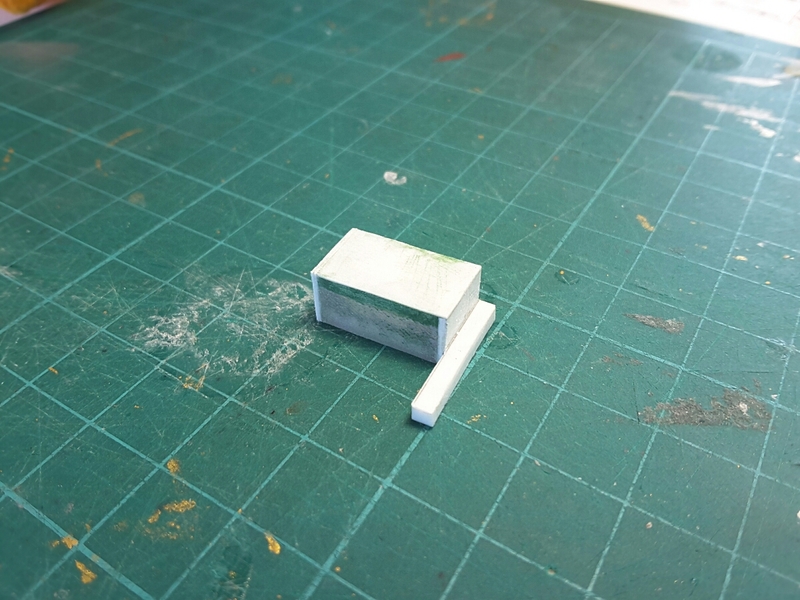 Anyway the two pieces were also out of scale, so I added styrene bits and pieces to them. I'll fix and update the 3D model later. And with Tamiya Pom Poms AA guns. I am going to use Pontos Pom Poms, but they are yet to be assembled. Again, I hope that's looking OK! 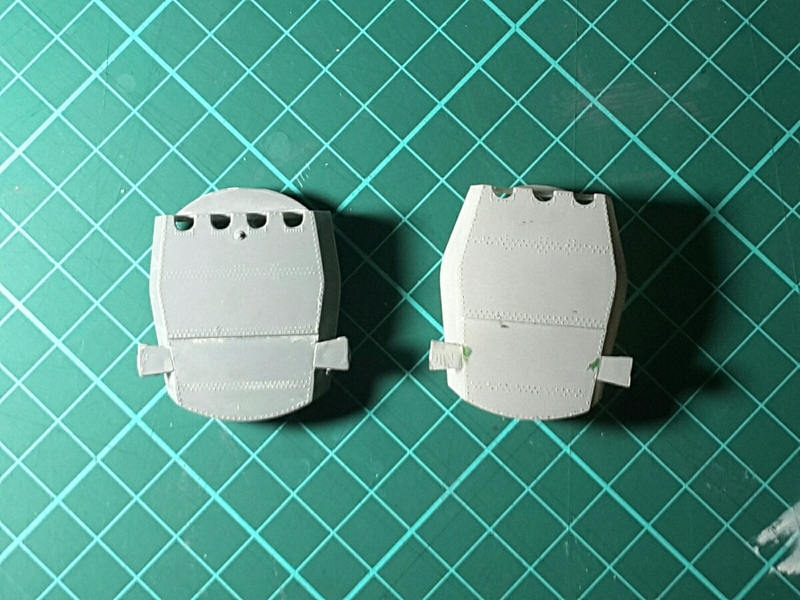 Everything will need a bit of fixing and smoothing. next time you put shields on platforms like for the pompoms, wrap the shield around the outside of the platform not ontop as you currently have as will be stronger wrapped & less sanding\cleanup. 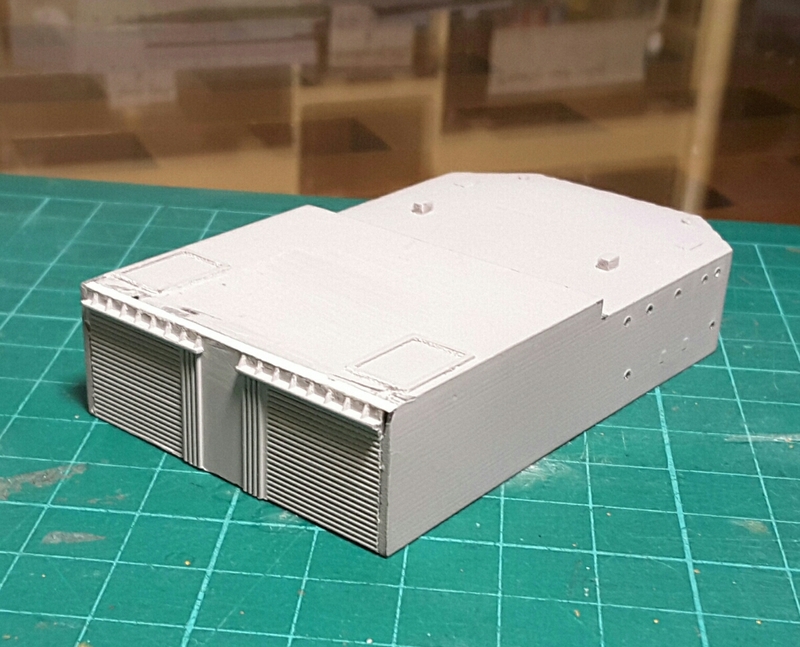 I do that from 1/429 scale down to 1/600 scale. Thanks for the advice, David. 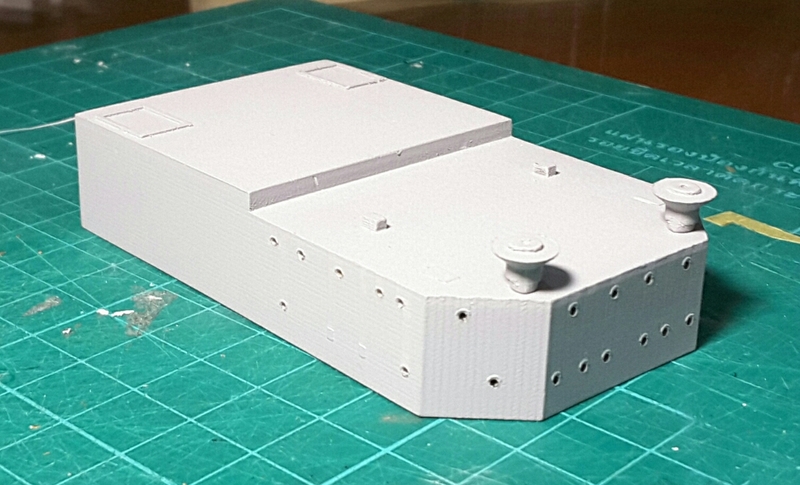 I didn't think of that when I cut the circular platforms, so I didn't anticipate for the 0.3mm thickness of the shield. Thanks for looking in! Comments and criticisms are welcome! 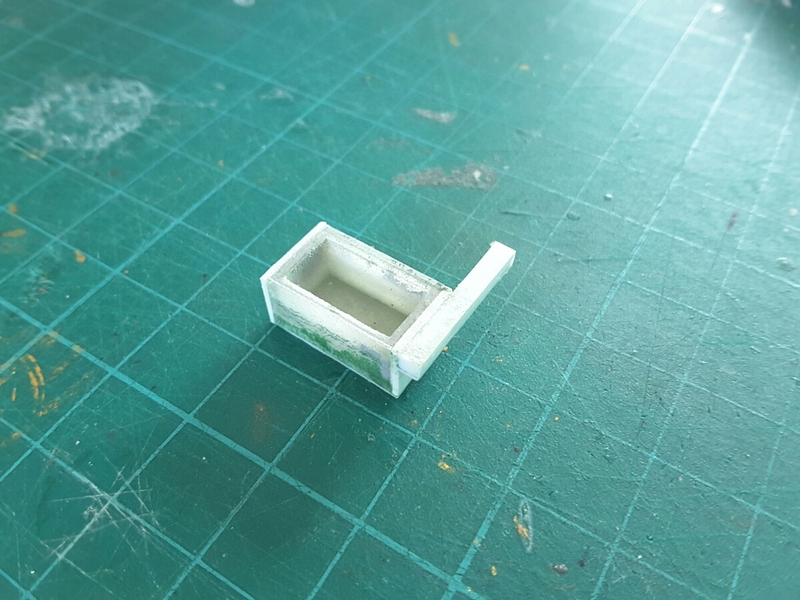 We made another attempt, this time using 0.5 mm styrene. The incompletely framed hull went through a trip to the US, and it ended up being twisted and damaged. 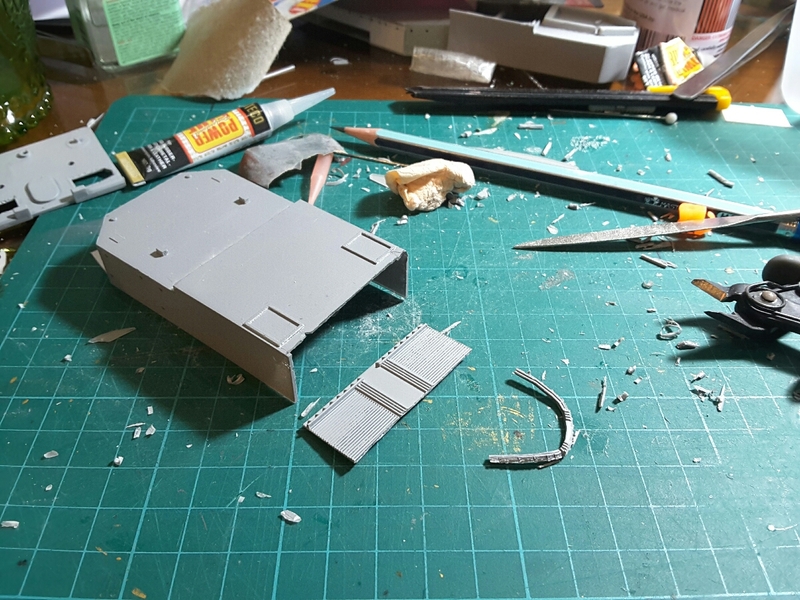 The styrene was salvaged. These were yesterday's photos. We will see if we could post more pics later today. It's evening here and modelling hours finally arrived! 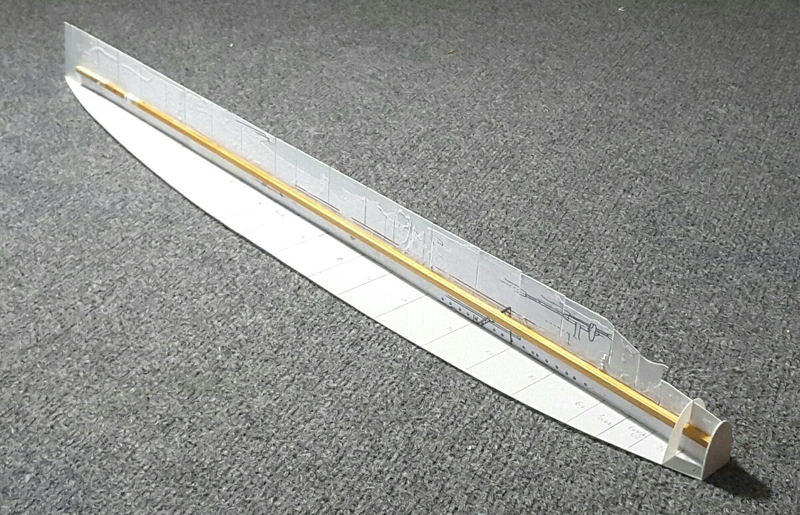 Aop Aur, use the 1mm plastic for the deck, keel & ribs. 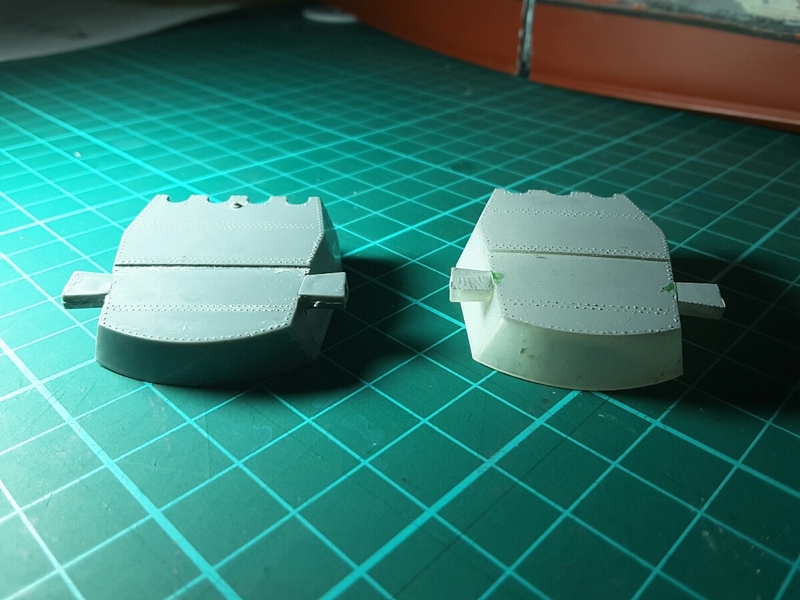 use long wide pieces of 1mm for the side plates of the hull that is flat & smaller pieces where the hull is curved. 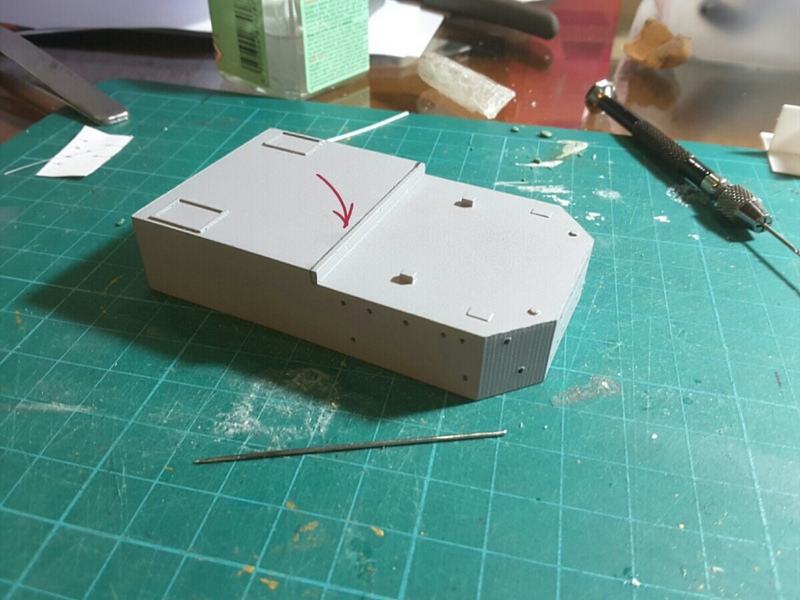 is that keel plate made of individual pieces glued together as that appears to be the case or 1 long solid piece? 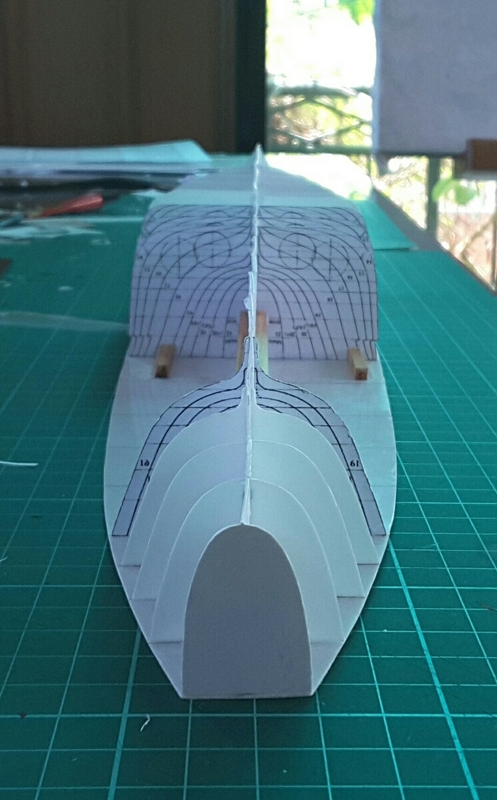 what glue are you using to glue the plastic together & to glue the balsa wood to the keel as it looks like white glue? Thanks for looking in, Steve! Maarten already advised me that I should use 1mm, but I don't know why Tamiya shops over here don't sell their 1mm plates anymore. I looked up some Japanese websites and they are out of stock. While Evergreen can do the job, the shipping fee will cost me a lot. 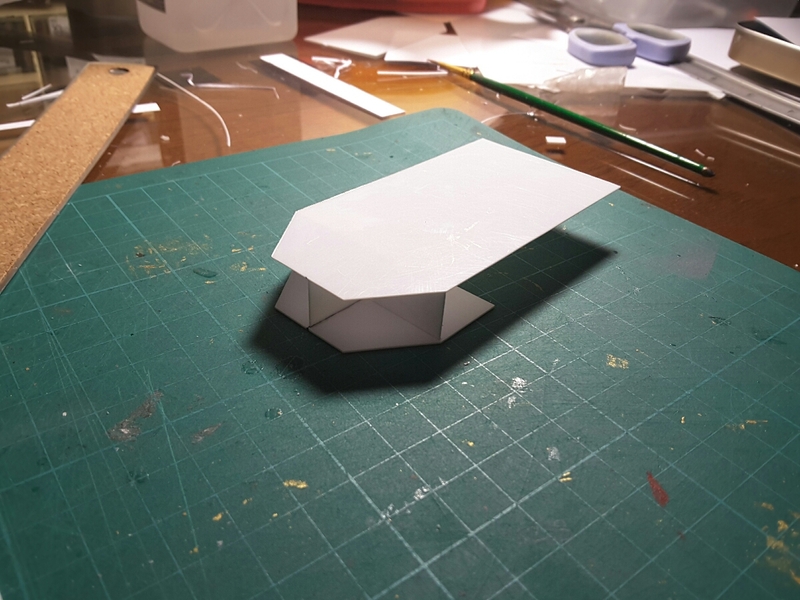 I already asked my father to buy me a Milliput putty, and I don't want ask for more I have a lot of 0.5 mm styrene in stock, so I used them. 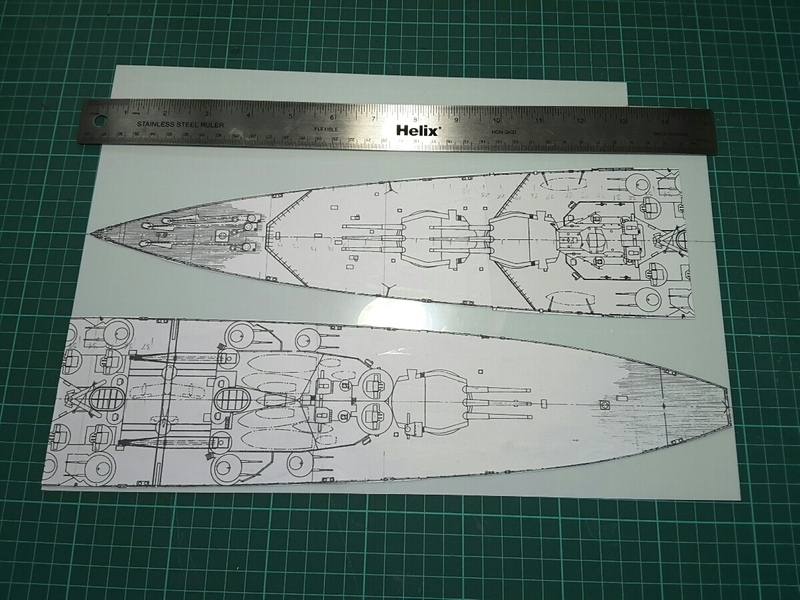 Steve used 0.4 mm for his Saratoga hull, I think (right, Steve? ), so mine should work. 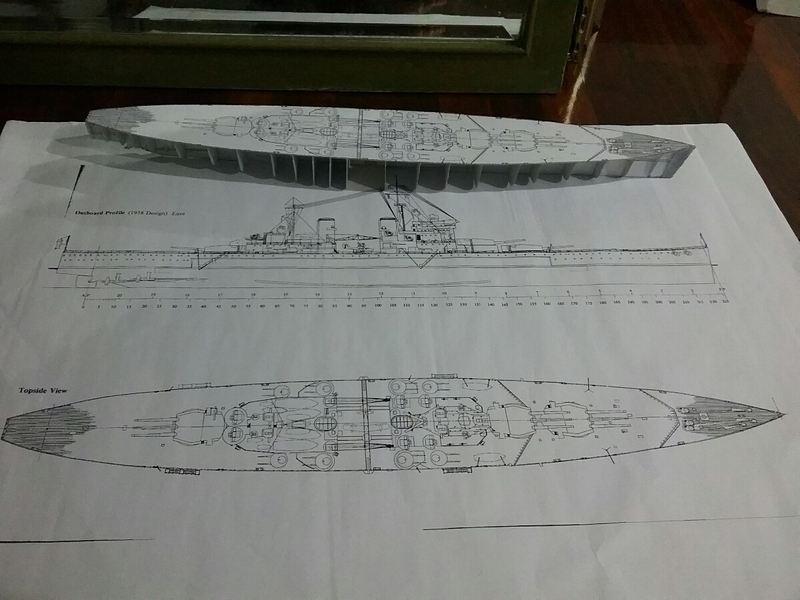 I guess what you meant by the keel plate is the side plan plate of the hull? 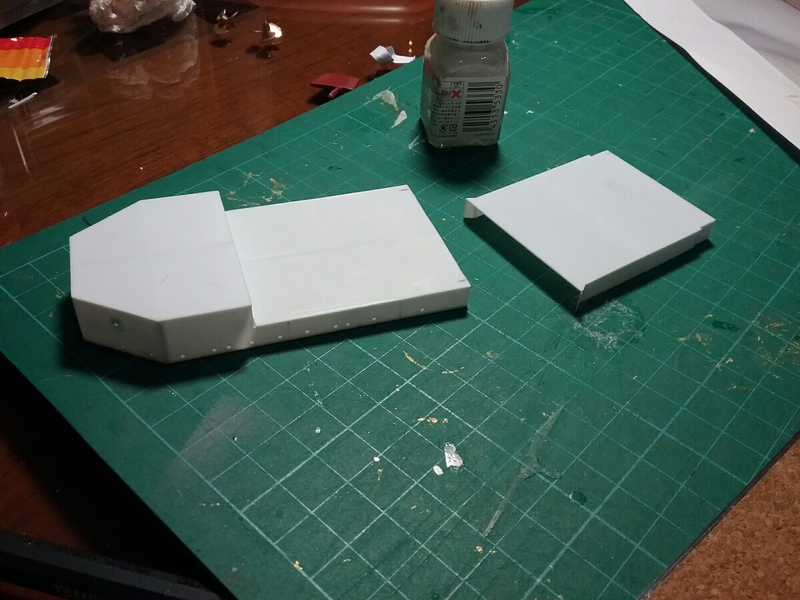 I glued two pieces of styrene sheets together as they are not long enough. 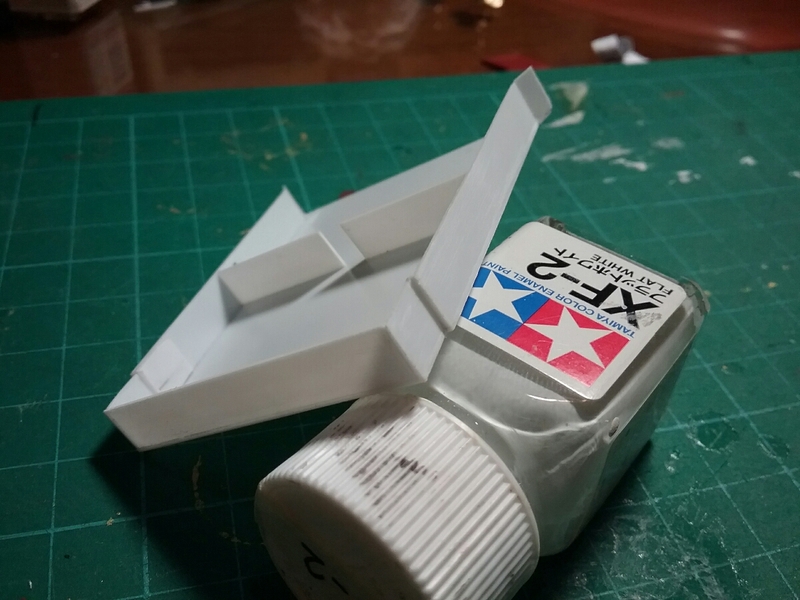 I use superglue to get the plastics attached and also a combination of superglue and Pritt glue for the balsa. Actually I wouldn't need to use the latter one, but I ran out of superglue at the time. I normally use it for glueing printed plans to the plastic. It can be peeled off easily if little is applied. 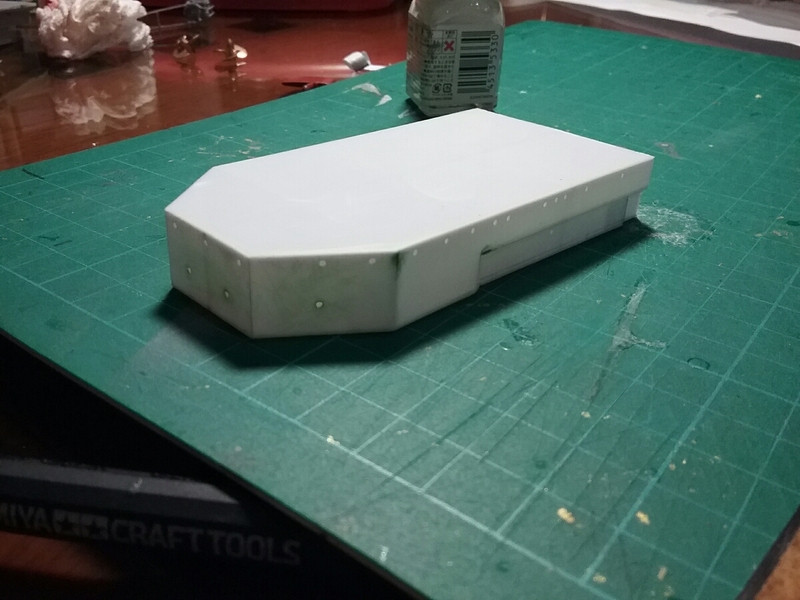 I think I applied a little too much when glueing down the profile plan to the plastic sheet, so it ended up being a mess on the plastic, but it won't be seen anyway. 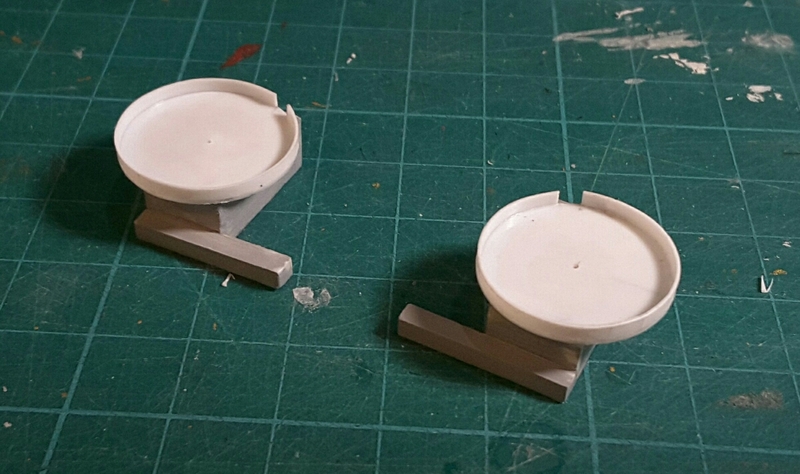 I don't use superglue to bond plastic to plastic as I use testors tube glue. 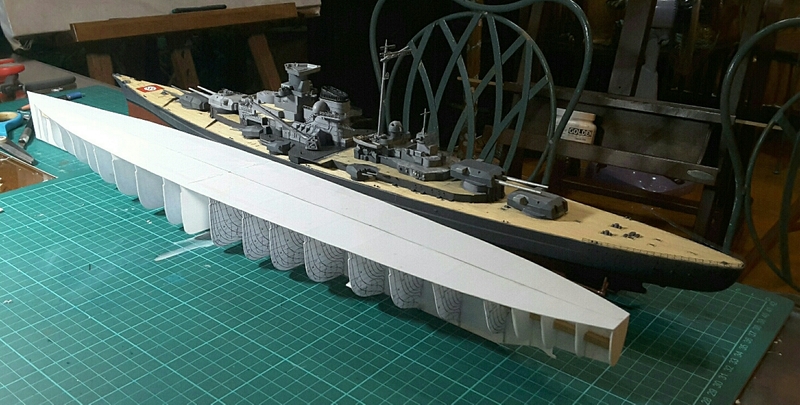 I also used that tube glue to glue 1mm plastic skin to balsa wood on my 1/144 ships including hms warspite that is about 30yrs old with no issues. see if you can find an industrial styrene plastic sheet supplier & get a 4ft x 8ft 1mm thick sheet as cheaper then the equivalent evergreen plastic as that is what I do & then I cut them into 12"x12" squares. Thanks for the advice again. 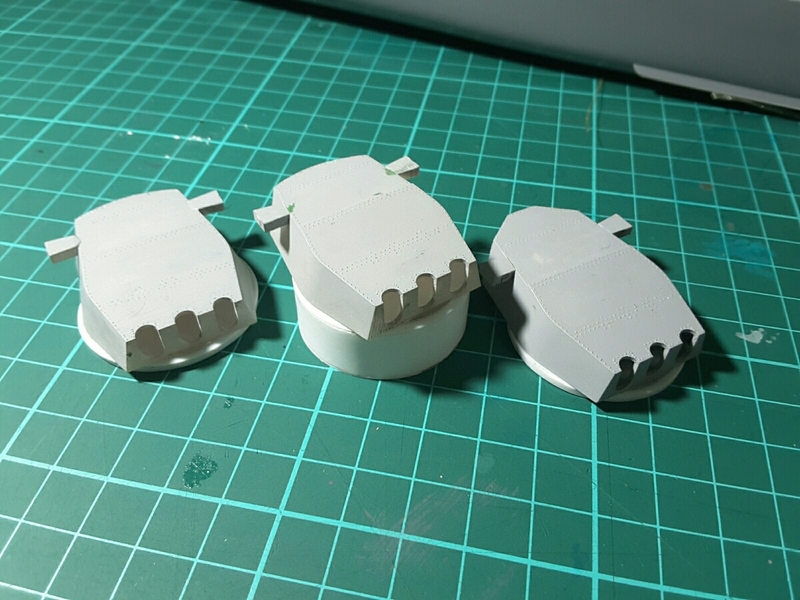 I think I should also use gun glues, but anyway I applied quite a lot of superglue, so it would stick well. 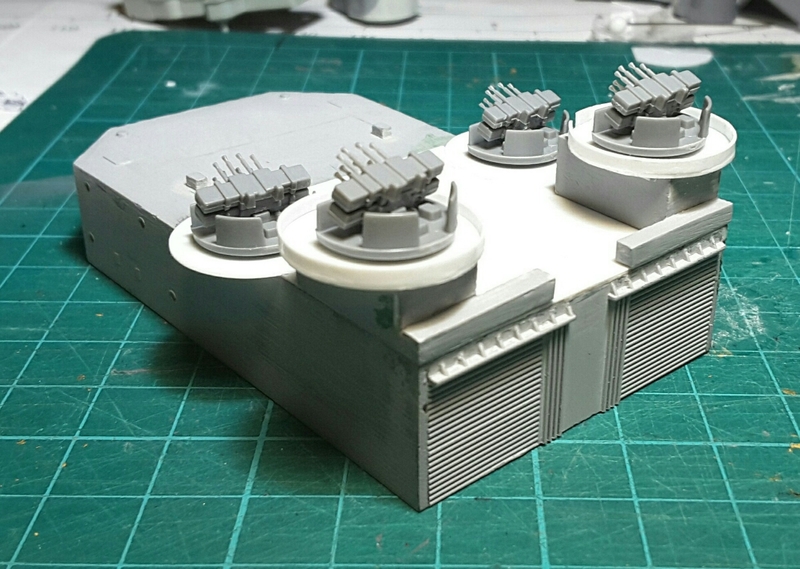 The superstructures and turrets/barbettes are dry fitted. Things are taking shape now. Comments, critiques and advice are welcome! We have just finished attaching the keel plates and would start planking the hull tonight or tomorrow. 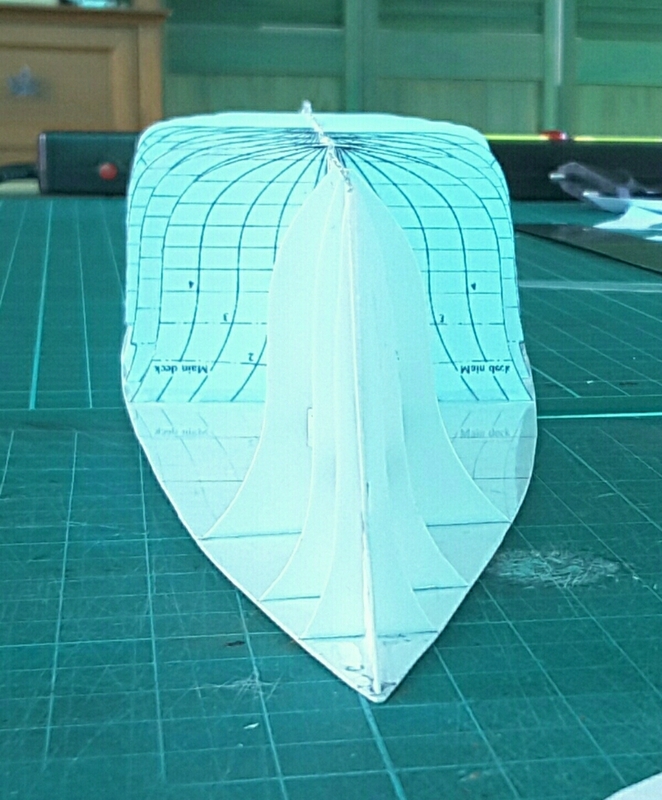 if you do that method again, reinforce the bottom of the keel like you did to the top of the keel & add the rudder support after you got the hull skin on & sanded. hot glue might melt your thin plastic so might not be a good idea till you try it on some scrap. my method on my 1/144 30yr plus models are still holding together after all these years.